Photo:Glass Home by Carlo Santambrogio and Ennio Arosio. Jeff Jarvis wrote a great post yesterday about Facebook, privacy and the theme of his upcoming book – publicness. I can’t wait to read it – seriously, Jeff, write fast – as it provides much-needed clarity around the web’s hottest issue: privacy. In Facebook, we get to create our publics. In Twitter, we decide which publics to join. But neither is the public sphere; neither entails publishing to everyone. Yet Facebook is pushing us more and more to publish to everyone and when it does, we lose control of our publics. That, I think, is the line it crossed. I think Jeff is spot on here and this raises an even broader issue: who is responsible for creating a ‘public’ at all, whether it be the ‘private’ public or the broader ‘public’ public by Jeff’s definitions? At the heart of this question are the often unforeseen, little considered and perhaps unfortunate consequences of an open, real-time web. For as time, distance and access to information dissolved in the face of tools like the internet, Facebook and twitter, so did the role they played as the tent poles of our privacy. These were the tools we used to define where we began and where we ended for public consumption, but as transparency rose so control of our privacy declined. In short, what we gained in the form of access to information and connectivity on one hand, we lost in control on the other. As such, I don’t think it’s fair to lay the blame for this at the feet of Mark Zuckerberg as the Mail & Guardian assert. As the founder of Facebook and pioneer of so much evolution in the social networking space, he is duty bound to cross these rope bridges to the future first – stumbling, falling and recovering all the way – as we all reach towards an ideal balance between the greatest benefits of an open web and the fullest protection of personal privacy. In fact, the incremental concessions each of us made by joining social networks, sharing more and more of our lives within them and finally cross-pollinating that content has enabled this expansion of ambition to occur. As such we are all complicit and should not be surprised by what is happening, nor forget the benefits we have enjoyed so far. In truth, I suspect there is no ideal balance to be had between the two. Rather, I believe we are witnessing the latest shouting match in the tireless cultural dialogue between the offline and online worlds that serves to re-negotiate a deal between the appetite of technology and the privacy tolerance of its users. So, like Jarvis and Paul Carr at TechCrunch, I don’t think Facebook had gone rogue as WIRED asserts. It is simply doing exactly what it must do when you consider that Facebook is focused on realizing the fullest potential of an open web for its users. 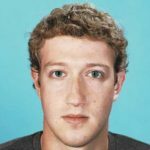 I suspect that Mark Zuckerberg, from his unique and high vantage point, has accepted that long-standing notions of privacy are now irretrievable. And further, that as the weight of the open web presses ever outwards, the responsibility for an individual’s privacy must rest with the individual in how her or she participates, what he or she shares and what personal communities he or she builds. Capacity does not mandate participation – that is a choice each of us, and not Mark Zuckerberg, makes. Yet we can’t have it both ways. If we enjoy the best benefits of an open web, we must re-frame our understanding of individual privacy and the deal we have consciously or unconsciously struck for ourselves. So the rising tide of push back against Zuckerberg and Facebook – including Matt Cutts, Peter Rojas and Peter Kedrosky – is completely appropriate. This is the necessary exchange that occurs as the past and future move in lock step towards whatever is next. Facebook’s attempt to make the entire web social is not the first or last privacy battle to be fought, but without doubt it is a major and potentially bloody one. I will argue that the more we live in public, the more we share, the more we create collective wisdom and value. I will defend publicness. But I will also defend privacy—that is, control over this decision. Managing privacy and publicness is a delicate balancing act. But so is protecting who we think we are today and enabling who we can become. Armed with my participation or its withdrawal as protection, I am excited, hopeful and optimistic that an increasingly open social web holds in store unimaginable possibilities as to how we can improve our world together. How about you? Simon– My problem with facebook (and to a lesser extent, twitter) is not that they sell user information for money. My problem is their sneakiness about such things, their constant resetting of defaults, and their ongoing coyness about their business models. What I want is a simple, honest, human exchange: we are providing you a free service. In exchange, you are granting us the right to share information you reveal here with advertisers so they can better speak to you and with potential employers so they can better judge your suitability” or whatever. Once I know that, I make decisions about what I share. Once we all shake hands, we can get on with using these great new tools to make our lives richer and our work better–or, on bad days, wasting time on dumb stuff. 1) Zuckerberg if anything should be “duty-bound” to the privacy promise he made to users from ca. 2005 to 2008. 2) It is simply ludicrous to claim that all privacy expectations should go out the window. And by privacy I don't mean “perfection” either. The entire argument that all things can to some extent be discovered once on the internet is a straw man. Sure, stuff becomes public by way of user errors, design glitches, hacking, gov't/court requests, etc. but that does not mean that you want e.g. all of your email/IM/cell conversations to be public right now. Not least of all those that pertain to your business IP, “trade secrets”, and other advantages. So why is it so hard to understand that everyday users also still would like the maximum amount of control over such issues? Publishing any information should (ideally) still be a conscious act, not a default that people somehow find themselves mixed up in. 3) Zuckerberg hasn't really invented much of anything when it comes to Facebook, but he's copied a lot, from Twitter, Friendfeed, etc. Stop trying to make him out like a a 21st century Icarus (though he may yet get burned – wait till e.g. the EU gets a hold of all the privacy issues, they still take that sort of thing a bit more seriously over there). So far, the Like buttons will simply add more keyword tags to your profile, that can then be targeted by Facebook Ads. But the question is: Will this just lead to greatly watered-down profiles compared to the self-description that people had in place of this new uniform deluge of “Likes”? If Facebook can get their users to Like things at anywhere near the rate at which we currently tweet links & thoughts on Twitter, then it will soon be a rather undistinguishable soup of tags. FB Ads were getting very low click-through rates vs. Adwords ads as it was, I don't see how this will help very much. Sure, some users who were previously too lazy to fill out their profile may now add some more information, but it may turn out much less targeted than before. I’m with you when you said “(Zuckerberg) has accepted that long-standing notions of privacy are now irretrievable”. But don’t forget that we (users) are free to accept this or not. For now, just a elite understand it. We’ll see. Alex, thanks so much for the detailed feedback. We are all thinking and feeling our way through this issue so its much appreciated. I'll approach your concerns one by one. 1) This is a double edged sword. I agree that the clear understanding of Facebook when we all joined was a closed, private system. It's on that basis that we felt safe. As the web has evolved and got increasingly social, we have all come to feel more comfortable with the sharing of personal lives. So yes, the goal posts have moved and that forces a simple choice on us. Close our account or move with them. It's not pleasant but there's little any of us or Zuckerberg could do to stop the march of the web. 2) No one is suggesting all privacy expectations disappear. It's simply that as we each reach a point of intolerance, we have to decide what to do. As I understand it, there are ways to protect your privacy which I have done myself on Facebook. But this too is evolving so its a job we have to monitor if we want to be protected and participate. In short, the burden of privacy has shifted more to us as the goal posts have moved. I also don't expect any of us to accept all our information including trade secrets to be public fodder. That's not my understanding of what FB is doing now. The truth of what's currently happening lies somewhere in between the all or nothing and we need to be the differentiator in that space. In short it's as annoying as the shift from opt in to opt out. The presumption has changed and shifted in the interests of Facebook vs. its users. I see that as an inevitable business rollout rather than an affront or breach of trust. It's up to us to decide what to do about it. 3) I think everyone is learning or copying from each other though I do believe there is much FB has done first (some of its annoying, no doubt!) I don't think of him as saintly or Icarus-like. In fact quite the opposite. I think of him – and I've never met or spoken to him – as a shrew businessman reaching out into the potential of a social web (that I, and I alone, happen to believe holds a lot of potential for social renewal). So I see him as enabling something i would like to see happen even though it raises serious and difficult privacy issues. And yes, the EU and China could be his undoing for sure. Google is currently in the throes of that challenge. 4) Agree totally. Much of the changes underway are a result of the major playing duking it out and that has an impact on highly important our individual privacy is considered. It's those dynamics that drive any marketplace forward and I don't think they can ever be stopped. The Like buttons may hurt Facebook, I agree. It may erode profiles internally. Like you I'm watching with interest. This truly is a grand experiment with enormous implications that I find fascinating (whether they're driven by FB or anyone else). There is a risk Likes will become noise or spam and then FB will have to adjust or be superseded by a new player. So yes, all of this could backfire and there are arguments against the Like and Community pages. For me, those details are this dialogue i'm talking about that will determine where the balance between openness and privacy nets out – for now. But I see this process as much bigger than FB or Zuckerberg. Thanks so much for your great feedback and let's stay in touch about how it pans out. Thanks., Alex. They could still monetize their massive user growth success AND make people happy on the privacy side. It's never an either/or, some of the things they are forcing right now are simply inelegant or not too well thought out. The new business model could simply be: pay and I will give you control over your own data. I Would. I think a lot of the murkiness around the whole facebook v. privacy discourse comes from the fact that we’re talking about a number of different facets of sharing. Jeff’s discussion of “public” versus “publics” and our ability to choose which publics we participate in is really useful because it gets to a more deep-seated issue that often gets masked by the term “privacy”: ownership. The main problem is not just that people get to see what you’re doing — it’s that facebook has wrested your ability to consider and decide how information is shared from you, effectively making your information no longer yours. If we think about this in terms of producing content for publics, rather than making information public, it becomes apparent that facebook’s rhetoric about openness is, well, just rhetoric. Because it’s recent moves against privacy are, ironically, also moves to *privatize* — to transform our shared, open information into commercial profit owned by a handful of commercial entities. The power of the web’s “publicness,” is openness — the ability to create an endless accretion of niche publics that have their own values and structures. That’s what sets it apart from broadcast media — the primacy of choice, specificity, and fluidity.Facebook’s privacy approach returns us to the all-or-nothing model (don’t like what’s on TV, then don’t watch. Don’t like your information going to facebook’s commercial partners, don’t share it at all), in a way that makes the structures of web interaction more uniform and less dynamic. In this light, facebook’s actions, at their core, are in fact deeply conservative. Awesome. Beyond the many benefits of an open web, many fail to realize that we're not forced to eliminate our privacy. You have a choice to restrict your privacy settings. You have a choice to share what you share and associate yourself with groups and pages. You have many choices to determine what is shared with different groups of friends, what is shared with the public, and what is shared with third party developers. You have a choice to participate with Facebook at all. Being that we have a choice, we are ultimately responsible for determining what should and shouldn't be private, what we are and are not comfortable sharing. It's become too easy to pin that blame on Facebook. In reality, all of this is within our control. Can Facebook be better at communicating how you can control your privacy? Probably. But it's time we stop playing ignorant and take control ourselves. And instead of believing everything you hear about the fall of privacy, research and find out for yourselves. Thanks, Jon. I agree. Facebook does have an onus to communicate how we can protect our privacy clearly, but that said, it is ultimately our responsibility. Thanks for sharing, simon. In truth I don't think any of us own the data we generate. Hopefully we won't have to pay for it as well! So we are going to 'hem and haw' at Zuckerberg and Facebook, but this is obviously not as big of a deal as we might imagine, right? I mean, not many people outside of the Interactive Industry really get what is going on right now with the privacy changes or Open Graph Protocol. And even the people that i talk to and know this in detail are not pulling out and boycotting Facebook; which is what it takes to really affect change. Until users and brands fight back in the only way it hurts, Facebook will just keep on showing us the Dog and Pony Show in the front yard while they lift the TV and other valuables out the back. Don't worry, look at the fine print on your admission, it says “by accepting a free ticket to the Dog and Pony Show you give the producers of the show the right to go through your house and take whatever they want”. Interesting concept…. Google and others still can't find enough opportunity in this to get people to consider a product that capitalizes on what FB does right, and avoids things like this that people take exception to…. I guess where i am lost is that people talk about FB like it's a God given right, or a necessity that should be governed by some fair set of laws that applies to humanity. I try to remind myself that it's total voluntary and the moment i don't like it, i can walk away and connect with family, friends and brands like i did for the 35+ years before i ever got on Facebook. Simon, I absolutely agree. I think we're in a very interesting moment where the tensions between traditional industry structures and the potential afforded by networked technologies are coming to a head in a lot of ways. And the facebook controversies over privacy is really forcing us to confront and articulate the different kinds of relationships and value that are being formed in this ambiguous space between social and commercial exchanges. Moving forward, I think there will be more and more need to pin down and re-evaluate what constitutes a fair exchange between personal data and “free” services. And I agree, I think people will keep diversity intact — if the demands facebook makes on its users in its own interest become too much, people will leave, and take the value of their network with them. Simon, this post addresses one of the largest issues on my campus right now. Recently, some individuals and organizations on campus have gotten in trouble with the school or other outside entities because of information provided on Facebook. Comments, pictures and messages have all been called into question regarding individual and organizational values and integrity. There is an on-going debate over the right of the school, or others, to access Facebook profiles and use information found for disciplinary actions. While I understand and sympathize with the frustration of the students and organizations that are being penalized for information obtained through Facebook, I cannot help but think “you let this happen.” In my first journalism class in college my professor warned us about the repercussions of growing social networking sites and their effects on our privacy. She stressed the importance of choice and how we each knowingly choose what we publish about ourselves for the world to see. That statement is still very relevant today. We each choose the representation of ourselves on sites like Facebook, knowing that someone might not agree with that representation. Facebook does have some obligation to protect its users’ privacy, but if individuals blatantly disregard the choice for privacy, then any repercussions are their responsibilities. Pondering over your article I just read (and Jeff Jarvis’ and his link to the wikipedia explanation of public sphere) I have a question: If Zuckerberg intends to make the web social – does this mean that FB has the potential (if so wanted by its creator) to turn into some great tool for participatory democracy?